Unpleasant odor from a colostomy and ileostomy pouch is a common complaint. To remedy this issue some people use an external deodorant or ostomy pouch deodorant. There are several products available leaving the consumer to deciding which they prefer most. Two main types exist though: liquid drops and tablets. Of the liquids on the market there is M9 by Hollister, OAD by Coloplast, Stop Plus by Montreal Ostomy, and Banish by Smith & Nephew. All of the liquids listed are available in 8 ounce and 1.25 ounce bottles for traveling and home use. They are all very popular, but the oldest names are Banish and M9. Pricing is fairly the same for all of these as well. Samples can be obtained either from the manufacturer or WOC nurse. 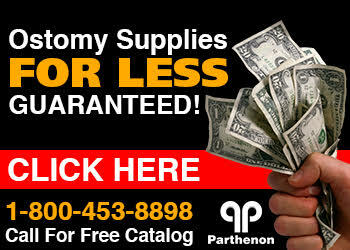 Parthenon does have a limited supply of StopPlus samples at this time. The tablets available are Whoo Noz and DevKo. Both products come in a bottle with WhooNoz having 250 tablets and Devko 100 tablets. Whoo Noz retails for $37 while Devko sells for $11.70. DevKo is the oldest of the two with being on the market for decades. Parthenon does have samples of DevKo available.